EDITORIAL: But One More Thing! I wasn’t sure how I was going to respond when Metropolitan Daniel, formerly of the True Orthodox Church of Metropolitan Rafail and now part of the “New Milan Synod”, sent me a link to Portal-Credo today. I don’t much follow Portal-Credo; it’s run by a group of excommunicated Imyabozhists, financially founded and paid for by some Putin crony who might have had a little something to do with the Victor Yuschenko poisoning, who (surprise!) communes occasionally at the heresiarch Gregory Lourie’s parasynagogue in St Petersburg. But after I took time off NFTU for a while to have not-so-private online yelling matches with three Internet cranks, I got somewhat used to seeing this one picture of Metropolitan John which they seemed to enjoy writing slanderous texts on. So I was really surprised to see that same picture now gracing a long piece of historical fiction on Portal-Credo. Looking for guidance as I read through the historical novel composed by some Fr Alexander Pavpertov, a priest of the “Makarian” Lourie toadies in Russia, I called Metropolitan John. The Metropolitan was closing up with a long discussion with Archbishop Porfyrios, our Synod’s main contact with Metropolitan Angelos’ Synod, on the other phone line, which I had to wait through. “Yep, I guess they’ve seen the article,” I thought to myself, as I heard Vladika John saying goodbye and reassuring Archbishop Porfyrios. Metropolitan John’s upset was clear as he hung up with Greece and picked up the line. 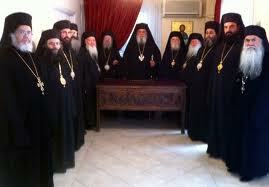 “Bishop Porfyrios says Metropolitan Rafail didn’t mean for any of this to happen. When confronted with the question of why he had condemned so-called ‘name fighters’, he said, ‘I had no idea, I just thought I was defending the Jesus Prayer.’ If Metropolitan Rafail had no idea about these attacks and slanders–” as he spoke I personally mused over whether Metropolitan Rafail just signs documents without looking at them, something which has occurred more than once in True Orthodox history and which makes me wonder whether any of these clerics ever owned a checkbook, but I digress– “and he says we will clarify this once and for all, and that he didn’t mean for any of this to happen, we might be able to resolve this,” Metropolitan John finished. My doubts not totally assuaged, the Metropolitan noted that nobody from our Synod throughout this period, despite our best attempts, was able to speak directly to Metropolitan Rafail– whereas Archbishop Porfyrios has managed to do so. So he moved on to the contents of the angry screed disguised as a heretical apologetic. “It’s as though they had no clue about us personally, like they were repeating someone else’s information,” Metropolitan John said, as my email displayed a brand new “break communion now” letter from yet another Synod, inviting us to dialogue. Vl. John knew Bishop Gregory (Grabbe). And you, sir, are no Bishop Gregory (Grabbe). “Do that, Father. 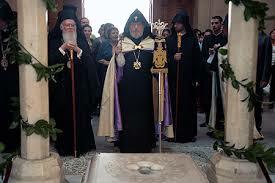 And take care of this ridiculous claim of the naming of the monastery,” he said, clearly frustrated. 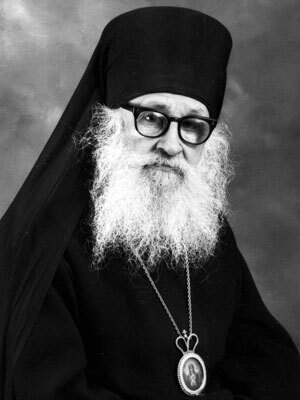 Of course Metropolitan John was also bothered by the author’s pro-Moscow Patriarchate mangling of history– not only did all the Western Rite parishes of the Synod break communion with Constantinople in 1969, but Abbot Augustine Whitfield, due to his own control issues and self-will, moved to Florida, occasionally petitioning the ROCOR– without success– to enter their jurisdiction. 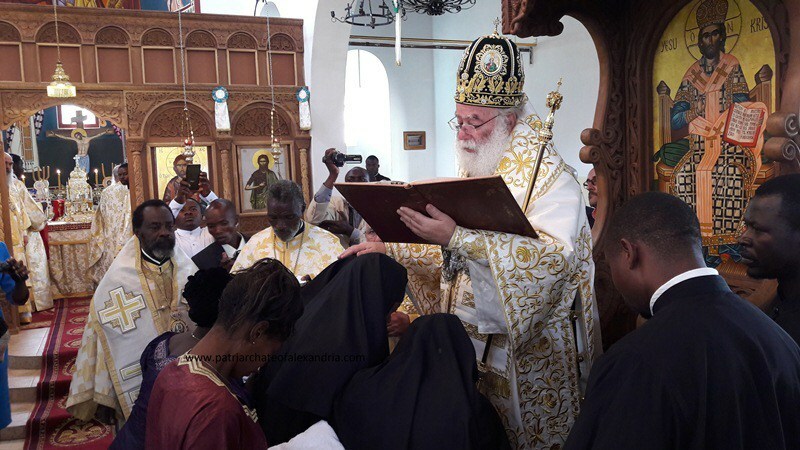 Indeed, I myself have had years of debates on the matter as we have mountains of proof of his membership in our Synod until the very end of his life, when Metropolitan Hilarion (Kapral) began taking in Western Rite parishes in the vain hope of “finishing off” our Synod, and accepted the sorry old man’s petition. In fact, before that, ROCOR’s experience with Fr Augustine was encapsulated in a famous request of Bp Gregory of Manhattan to confirm Fr Augustine’s membership in ROCOR, to which he replied, “there is no Fr Augustine Whitfield in ROCOR”. Of course, readers could be easily misled by the 1978 declaration of ROCOR, which talked about the Western Rite in its “present” (contemporary) form. 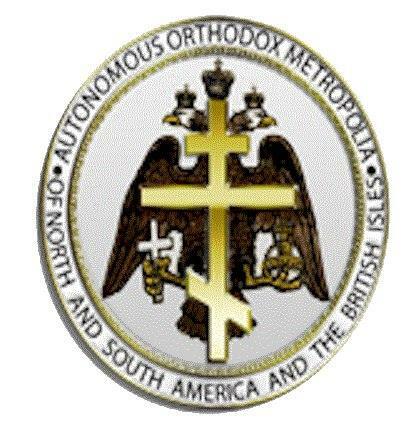 In 1977, the Antiochian Archdiocese had begun introducing the use of Anglican style liturgies, which shocked many Orthodox in America just five years after the “Church of France” ended its association with the Russian Church, became stranger and stranger, and more openly defended the Gregorian calendar. Meanwhile, the Abbey’s main focus was on translating existent and viable texts from before the schism, which were never the focus of the document. In fact, the very people intended to be condemned by the document– the semi-Episcopalians who moved into the Antiochian Archdiocese– vigorously decried the Abbey’s work and that of Fr Aidan Keller as “liturgical archaeology”, selling their semi-heterodox “Western Rite” as the real thing. Then-Fr. John LoBue had gone a few times to Manhattan before to informally ask the Bishops for advice. Few people realize today that the Metropolitan had met, known, befriended, and even argued with many people in the old ROCOR. Decades before becoming a Bishop after the Moscow Patriarchate split, Father John Shaw helped the monks with translations of obscure Latin texts. 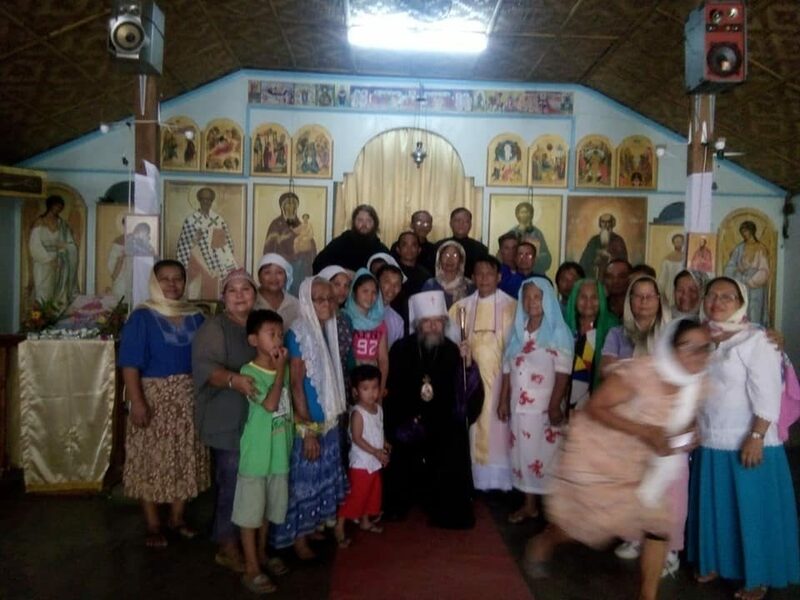 Years before ROAC and Metropolitan Vitaly stood up for the faith, Bishop (now Metropolitan) Hilarion had tried to force encourage Elder Theodore (Irtel) to go to Spring Valley “under the Russian Church’s protection,” including– surprise– an attempt to get him medically examined as his ward, a practice run, perhaps, for the events of 2001. Years before becoming the head of missions in America for ROCOR-A, Father Gregory Williams had a hand in trying to appropriate acquire our Woodstock parish building for ROCOR. In short, the author of the screed clearly has no idea who or where we were, and gathered his information from a book or third hand sources. The imaginary Kabbalah tie-in tells me that of course that the Lourie had a hand in it, perhaps ghost-writing parts of it, since that old heretic just loves himself some Kabbalah. We’ll just correct them on being wrong. So, hanging up the phone, I had been tasked with an editorial, answering the various lies in the article, noting that Metropolitan Rafail may very well have been duped this whole time, and that despite the slanders, the Metropolitan remains committed– if not more so than before– to vanquishing this heresy. This in-house bickering is awful. I sorely miss Mátushka Anastsía’s chilled cucumber, dill weed and sour creme salad on hot summer days…not to mention her incisive perspectives! Ah..Fr. Finbarr; obviously controlled by Met. Demetrius to say that (according to portal-credo)! You obviously just invented meeting her! Apparently, none of us have any memory of anything! I spoke to her by accident when I was in Russia and she acted as impromptu translator for Metropolitan Valentine. She was pretty shocked by the audacity of the Name-worshippers. You mean shocked by their behaviour? Or by the fact that they were trying to resurrect the Name-Worship heresy? Or both? Come to think of it, her cucumbers were as finely sliced as her perspectives.